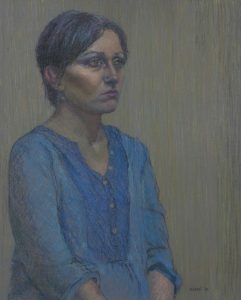 My pastel painting “Tara” will be in a show at the Art Students League in the Phyllis Harriman Mason Gallery from April 21 – April 28. The show will feature work done in famed pastelist Ellen Eagle’s class. I am thrilled that it has been chosen. Ellen is a marvelous pastelist and teacher and she has chosen the work for the show.